Generally speaking, I'm a fan of an iconic couple getting together, especially since current shows are far better than shows in the 1980s and 1990s at maintaining a high standard of writing even after the fatal kiss. Bones continued to do remarkably well once Bones and Booth formed a permanent alliance. And the final seasons of Stargate with Jack would have been better served putting Jack and Captain (Major) Carter together (it is heavily implied that they are together off-screen). Shelley Long is a talented comedienne, so much so that she falls into the so-awful-she's-hilarious category. 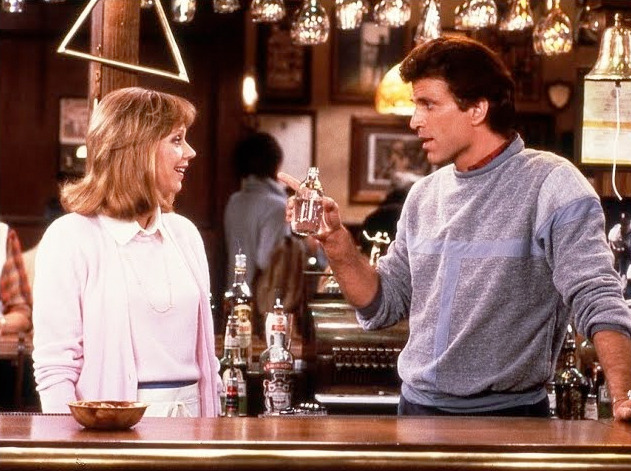 As Diane Chambers, she is more quixotic than irritating (if she was too irritating, Cheers would be unbearable to watch). Still, I can think of no point during Cheers' original run (or now) where I believed she and Sam Malone would work as a couple. Apparently, at the end of Season 4, when Sam Malone proposes to someone on the phone, viewers voted on whom he had proposed to (I vaguely remember this but never saw the results). I was flummoxed that anyone thought he proposed to Diane--or that if he did, the writers wouldn't immediately undermine the relationship. Did anyone ever think that Sam and Diane could possibly work? Ever? To be fair, the 1980s and 1990s were filled with these types of oil & water relationships. 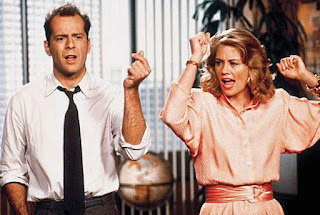 I never believed in the Maddie Hayes (Cybill Shepherd)-David Addision (Bruce Willis) romantic relationship either. Writers have not only gotten better at writing relationships after the couple get together, they've gotten better at preparing viewers for relationships that actually work: Bones and Booth are in fact more like each other than initially supposed. This is not to say that Ted Danson and Shelley Long didn't have sexual chemistry. The characters are quite effective as fighting exes. Still, the writers were wise to keep them apart--though that decision may have been due to Shelley Long's decision to leave the show in Season 5. "Put your brother on the phone!" I was a fan of Frasier getting together either with Laura (the married cellist that Frasier meets at the airport, sweetly well-played by Linda Hamilton) or Lana (hilariously well-played by Jean Smart). However, to a large extent, Frasier not ending up with anyone is the point of the show. The last episode sees him heading off to Chicago to hopefully continue his latest relationship with Charlotte (played by Laura Linney). 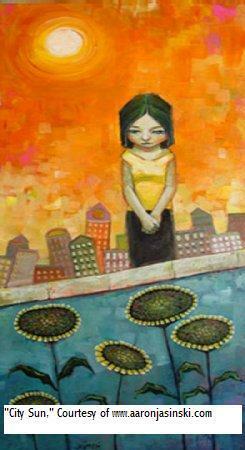 It is an act of hope. Frasier is the ultimate example of the guy who climbs back on the horse. 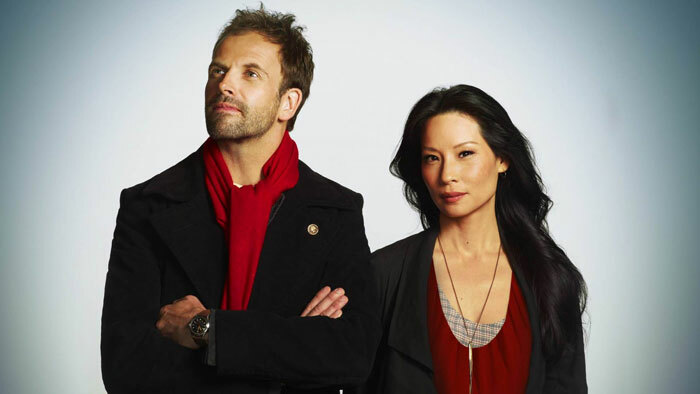 Although I criticize the writers' disingenuous claims that Holmes and Watson on CBS's Elementary were not written with sexual tension in mind (oh, puh-leaze), I am thoroughly impressed by their skill in making Holmes-Watson a non-romantic couple. They are great friends with strong chemistry, but there is no hint that they will ever end up in bed. And absolutely no need. The friendship--especially the implication that this particular friendship will last a lifetime--is solid and reliable, exactly as the Holmes-Watson friendship is supposed to be. It is also a friendship of equals which Holmes-Watson friendships are not always portrayed as being. The viewer can be grateful that such disparate, unique, and somewhat aloof personalities have each other to rely on. Frankly, I always found Diane annoying. It's been a long time since I've seen Cheers and I was younger when I did so I might find her differently now. Of course, that's probably because Shelly Long played a type of person I don't like very well. It's notable that the reason San and Diane's relationships didn't work out was as much because Shelly Long left the series as anything. The 80s did have a lot of oil and water relationships. Belligerent Sexual Tension as TV tropes calls it isn't anything new though: Shakespeare used it. Darcy and Elizabeth are seen this way but I'm not sure they count. I don't think Mulder and Scully despite there differences would count either. I've long had a theory that most of the writers for many shows in the 80s and 90s were single. They couldn't write for permanent relationships because they'd never had one. That said, one reason to avoid getting people together in a series is contracts. If you get two characters together and one actor decides to leave the show, now what?